Perhaps asking people "not to judge a book by its cover" is the wrong advice. Of course we shouldn't judge people and things so quickly, but we do, even subconsciously. Malcolm Gladwell talks about first impressions in his bestseller Blink. If getting people to stop making these snap judgements is so difficult, perhaps the easier route might be to actually change your cover? Clearly book publishers are willing to do it if it is makes them more money. 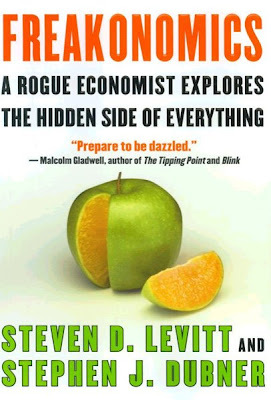 I noticed Steven Levitt changed his 'Freakonomics' bookcover to this more colourful one when it became so popular. So perhaps the advice should be "choose your battles + be prepared to change your cover if it is important enough or profitable to you."